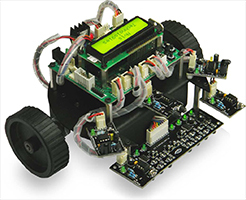 Nvis 3302W RoboCar is another variant of Nvis RoboCar Series which does not need any microcontroller interface for its functionallity. 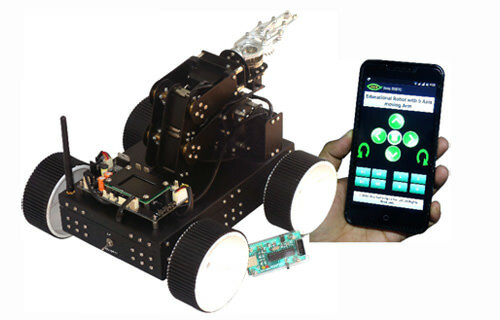 This RoboCar specially assembled for electronics students and is capable of sensing environment using various sensor modules and acts accordingly. Nvis 3302W consists of metallic chasis, L-clamps and wheels, with different sensor modules and motor driver circuit mounted on it. The machine is driven by DC motors which are powered by rechargeable battery. 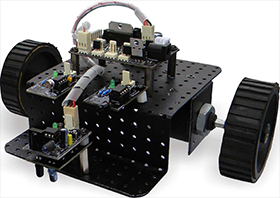 This RoboCar is used for various applications like fire sensing, clap sensing, light detecting, object following, obstacle avoiding, wall following, path detecting and many more. Apart from all these features, the control unit and all the Sensors can be interfaced with any microcontroller board. 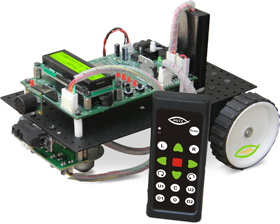 Nvis 3302W, Basic RoboCar is an ideal platform to enhance education, training, skills & development amongs our young minds.